Dear summer, we’re ready for you. You’ve braved snowstorms and disrespectfully low temps. You’ve zipped yourself up in a puffy coat only to sweat through your cashmere sweater on a crowded subway car. And lest we forget, you’ve worn winter boots that, for a lack of a better description, aren’t cute. But alas!—Memorial Day is nigh, and you’re now free to go about your days in denim shorts, platform sandals, and sleeveless everything. We’re obviously excited—so excited that we’ve spent the better part of the weak dreaming up our Memorial Day outfits. Ahead, all the pieces we’ll be living in for the foreseeable future. 1. 13 Bonaparte Judo Mini Skirt: I just discovered this brand, and let me tell you, I’ve been missing out. Their take on denim is incredibly modern, and I’m a fan of the many small details, like the stitching, on this denim skirt. I’ll be buttoning it up and wearing it until Labor Day. 2. Tory Burch Scallop Wedge Slide: Oh hello, sandal of my dreams! 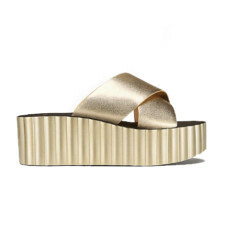 I love a slide, I love a platform, and I love a shoe that I can wear all day long without sacrificing comfort for. About to buy these in every color. 3. 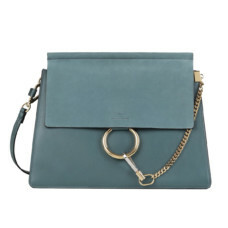 Chloé Faye Shoulder Bag: I happen to really like my middle name, and I also happen to really like Chloé bags. So if I had to pick one, I’d definitely go with my namesake in this pretty shade of light green. 1. 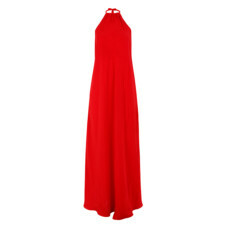 Worme “The Key” Maxi in red: Started by sisters Hannah and Melissa Collett, this brand is all about versatility. This maxi dress can be worn over my swimsuit and straight to a fun sunset cocktail hour. I love the “patriotic red” color of the dress, and the halter cut really complements any body shape. 2. Gala Is Love “Poessi” Earrings: I’ll probably wear my hair up this summer more often than not, so my earring game needs to be strong. 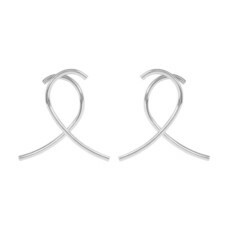 I love the intricate yet minimalist design on these silver earrings. Gala says, “your lobes will love to swing on these lovely sonnets.” Amen to that. 3. Sézane Jeannette Open Toe Pump: My family hosts a fun barbecue every Memorial Day weekend, and we do a lot of dancing. I like how this kitten heel is perfect for moving around without having to think of the painful aftermath of an actual heel. At the same time, it doesn’t give grandma vibes. 1. 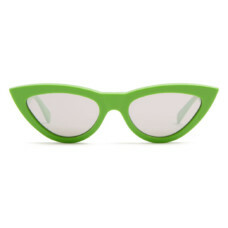 Céline Cat Eye Sunglasses: The perfect pair of cat-eye sunglasses do exist! 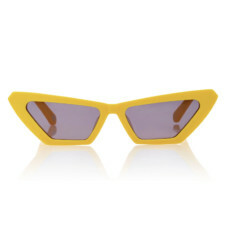 Céline never fails to deliver the ultimate pair of shades, and these guys come in so many fun colors. The only accessories I need for the upcoming weekend are these sunnies and a great read. 2. Caroline Constas Arisi Striped Swimsuit: I finally have a reason to press checkout on all the swimsuits lingering in my shopping carts, the majority of which are full pieces. The justification here being that not only can I wear them to the pool, but they can also double as bodysuits. This Caroline Constas number is particularly great, as the burst of colors complements the joy I’m feeling for warmer days. 3. 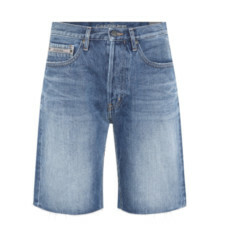 Calvin Klein Denim Shorts: Jorts are all I can think about for summer. 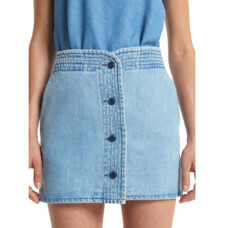 They give off some major middle-school vibes, but I need to make these Bermuda-length denim cutoffs a wardrobe staple. Sleek and cool, whether dressed down for a day at the beach or paired with a silk top for an evening barbecue. 1. 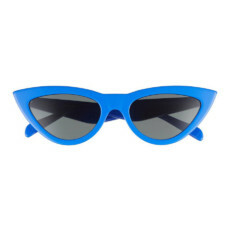 Céline Royal Blue Cat Eye Sunglasses: Wow. I think I’m in love. 2. 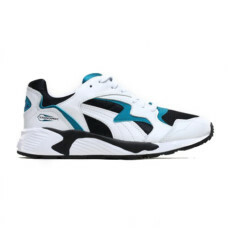 Puma Prevail OG: It’s no secret that I’ll be in sneakers all weekend long (and for the rest of my life, really). I thought my chance to snag these babies was long gone. Thankfully, I was wrong! 3. 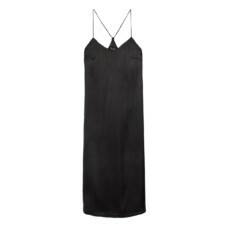 Topshop Black Satin Slip Dress: I like to keep things simple on the weekends, even if there’s a holiday attached to them. Slip dress, sneakers, a pair of sunnies, and a tequila soda with a splash of pineapple, and I am good to go. 1. 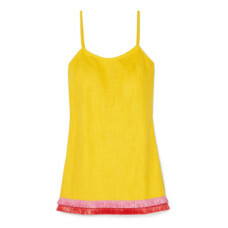 Staud Sonny Mini Dress: Doesn’t this just scream IT’S F*CKING SUMMER!? I love the color and the little colorful fringe that lines the bottom hem. It’s so fun! It can totally be dressed up, but for this weekend of patios and parks, I’m pairing it down with a pair of sneakers and my pup, Walter. 2. Chimi Sunglasses: To match my very yellow dress, very yellow sunglasses! 3. 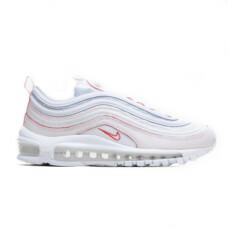 Nike Air Max 97: I’ve had Air Max 97s on my wish list forever, and I think I’m finally going to pull the trigger on these. I love that they’re mostly white with a tinge of color subtly running throughout.